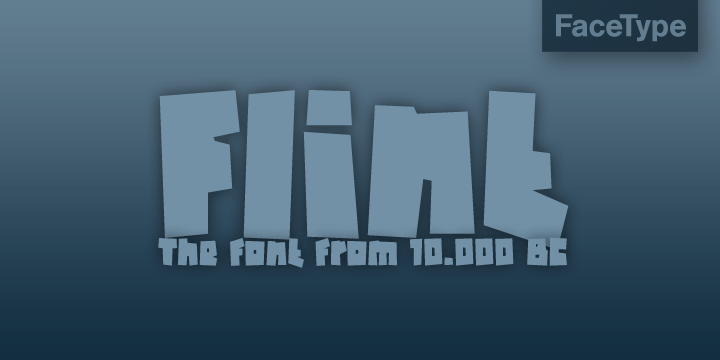 Overview Meet the Flint font! A typeface that rocks - litterally. If Caveman could write, it would possibly look exactly like Flint.